Burnley Football Club have been slammed by supporters after the Premier League club advertised for unpaid matchday volunteers. The Turf Moor outfit, currently bottom of the table, posted an advertisement on its official Twitter page today asking for 'Match Day Heroes', a role that would include volunteers carrying out a wide range of tasks in all weathers. However, the Tweet was met with derision from Clarets supporters, with many accusing the club of trying to take advantage of supporters and describing it as "shameful" and "a disgrace". Many of the tasks listed would normally be the job of paid stewards. 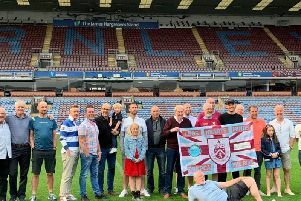 The post stated: "Volunteers will carry out a wide range of tasks, from helping supporters collect tickets, find their turnstiles and seats, perhaps showing them where the nearest cash machine is, or assisting with finding locations, such as the Fanzone, Clarets Store, or even the coach home! "Volunteers will be working outside, so volunteers need to expect periods of standing in all weather conditions. "Our Match Day Heroes will be helping thousands of people find their turnstiles and giving other directions, so probably won’t get to see much, if any, of the match!" More than 100 comments were made in response to the Tweet by angry Clarets with one describing it as "an absolute lead balloon of an idea". "Whoever thought a business which made £22m+ profit last year should be asking for free labour deserves a right good slap. Ill-conceived would be way too generous." "Exploitation at its worst, right there." "We're a Premier League club in an area that struggles economically at the best of the times. And you're offering unpaid work. Bad, bad, bad idea. Pay them the living wage." "Horrible. How many millions do you pocket from Sky, but you can't pay your fans a wee bit? Sickening." The Burnley Express has approached the football club for comment.